The <security> section group resides in the <system.webServer> section and contains all elements that configure security settings on an Internet Information Services (IIS) 7 server. These include Secure Sockets Layer (SSL) settings for a site, applications that are dependent on Common Gateway Interface (CGI) or Internet Server API (ISAPI) binaries, configuration settings for all authentication modules installed on your server, and authorization rule settings. It also includes IP security and request filtering configuration settings and a list of ISAPI and CGI restrictions on the server. 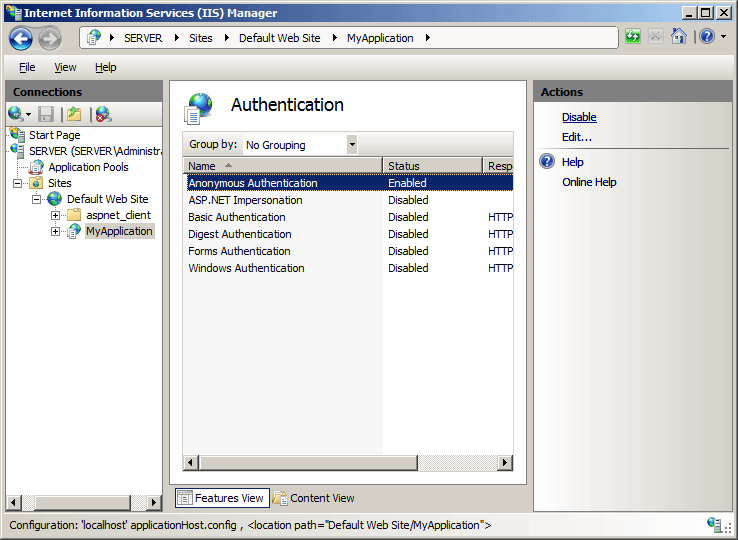 The <authentication> element defines configuration sections for all user authentication types that you can install and enable on your IIS 7 server, whereas the <authorization> element configures the user accounts that can access your site or application. You use <authorization> in combination with <authentication> to secure access to content on your server. The <access> element configures SSL settings for your Web server, site, or application. The <isapiCgiRestriction> element specifies a list of CGI and ISAPI applications that can run on IIS 7. This element allows you to ensure that malicious users cannot copy unauthorized CGI and ISAPI binaries to your Web server and then run them. The <applicationDependencies> element specifies an application that has dependencies to one or more CGI or ISAPI extension restrictions. You can combine the <isapiCgiRestriction> element with the <applicationDependencies> element in order to ensure your CGI or ISAPI extension restrictions are set properly. For enhanced security, neither Windows Vista or Windows Server 2008 installs IIS 7 by default. When you do install IIS 7, IIS is automatically configured to serve only static content, including HTML and image files. You must manually install any other role services and features required by your Web sites and applications. This strategy greatly reduces the IIS 7 attack surface. IIS 10.0 The <security> element was not modified in IIS 10.0. IIS 8.5 The <security> element was not modified in IIS 8.5. IIS 8.0 The <defaultIpSecurity> element was added as a child element. 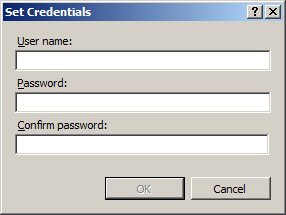 IIS 7.5 The <security> element was not modified in IIS 7.5. IIS 7.0 The <security> element was introduced in IIS 7. IIS 6.0 The <security> element replaces the IIS 6.0 security metabase properties that related to certificates, authentication, and authorization. The <security> element is included in the default installation of IIS 7. In the Connections pane, expand the server name, expand Sites, and go to the level in the hierarchy pane that you want to configure, and then click the Web site or Web application. 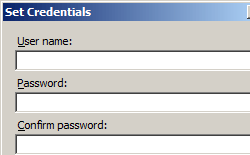 Scroll to the Security section in the Home pane, and then double-click Authentication. 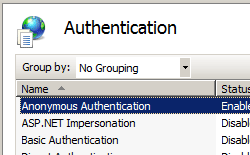 In the Authentication pane, select Anonymous Authentication, and then click Disable in the Actions pane. In the Connections pane, expand the server name, expand Sites, and navigate to the level in the hierarchy pane that you want to configure, and then click the Web site or Web application. In the Authentication pane, select Anonymous Authentication, and then click Edit... in the Actions pane. 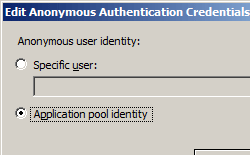 Select Application pool identity to use the identity set for the application pool, and then click OK.
Click Set..., and then in the Set Credentials dialog box, enter the user name for the account in the User name box, enter the password for the account in the Password and Confirm password boxes, click OK, and then click OK again. If you use this procedure, only grant the new account minimal privileges on the IIS server computer. 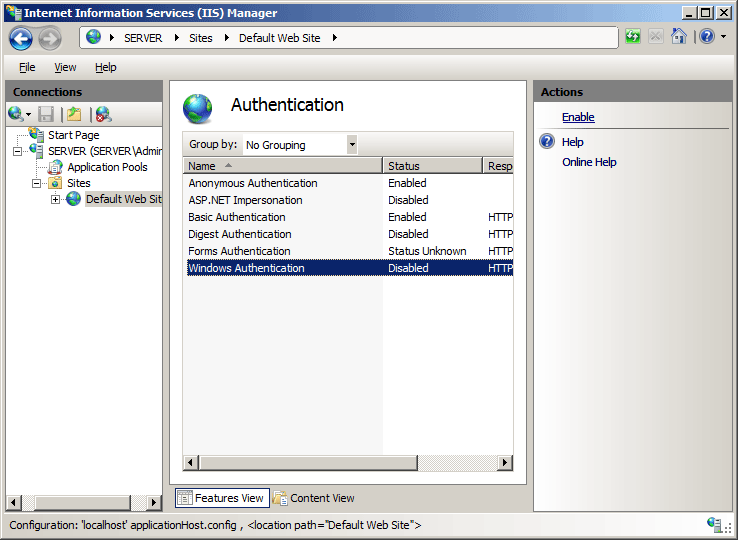 In the Connections pane, expand the server name, expand Sites, and then click the site, application or Web service for which you want to enable basic authentication. In the Authentication pane, select Basic Authentication, and then, in the Actions pane, click Enable. In the Connections pane, go to the site, application, or directory for which you want to configure SSL requirements. You cannot configure SSL at the server level. In the Home pane, double-click SSL Settings. 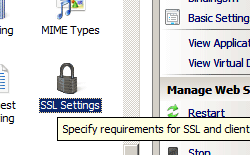 In the SSL Settings pane, click Require SSL. In the Connections pane, expand the server name, expand Sites, and then the site, application, or Web service for which you want to enable Windows authentication. 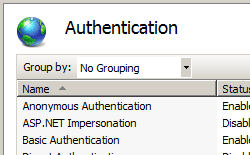 In the Authentication pane, select Windows Authentication, and then click Enable in the Actions pane. When you configure security settings, the configuration XML must include the <security> section group. You can configure security settings at the server level in the ApplicationHost.config file, or at the site level, application level, or directory level in the appropriate Web.config file. Specifies configuration settings for Secure Sockets Layer (SSL) such as whether to use client certificates for authentication and crypto strength. Specifies an application that has dependencies to one or more CGI or ISAPI extension restrictions. Specifies dynamic IP restrictions that block any IP address that meets a set of criteria. Specifies settings that restrict which CGI and ISAPI programs are allowed to run on the server. 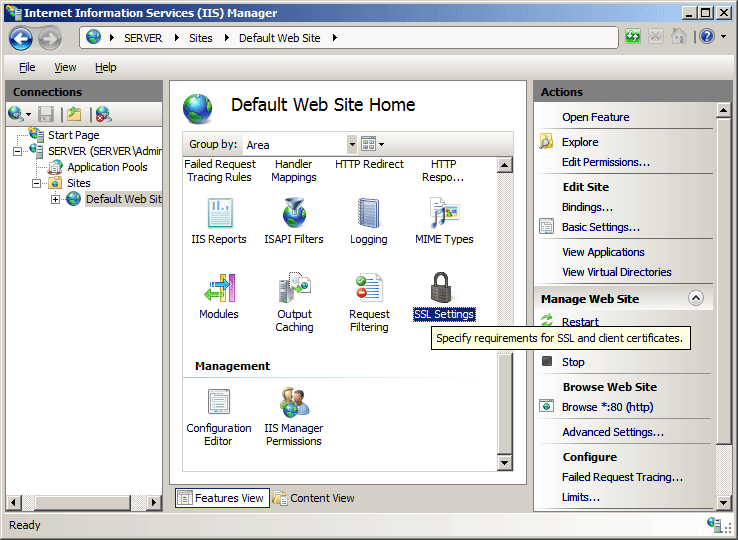 The following example configures the authentication, SSL, and request filtering settings for a Web site named Contoso. The following examples disable Anonymous authentication for a site named Contoso, then enable both Basic authentication and Windows authentication for the site.